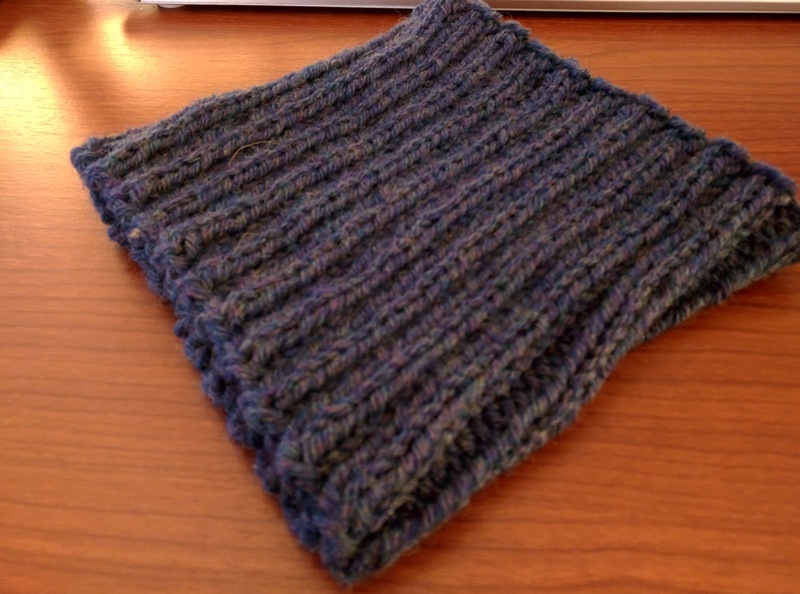 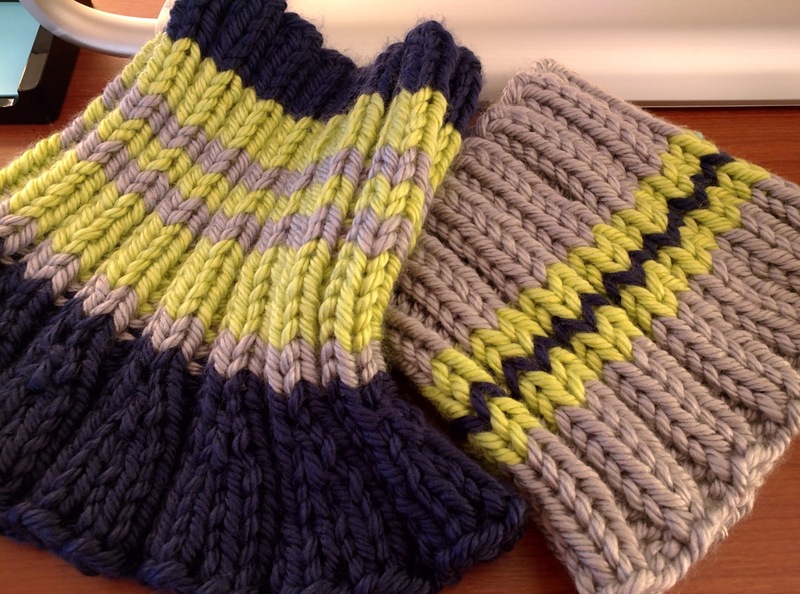 A friend saw the earlier cowls and asked if I could make her one in Seattle Seahawks colors. I found a bulky yarn at Hancock's Fabrics that had three colors that looked close. 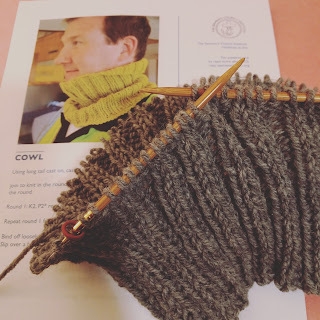 I don't remember how I heard about Christmas at Sea, but as soon as I did I knew I wanted to knit and crochet some things for this great organization. 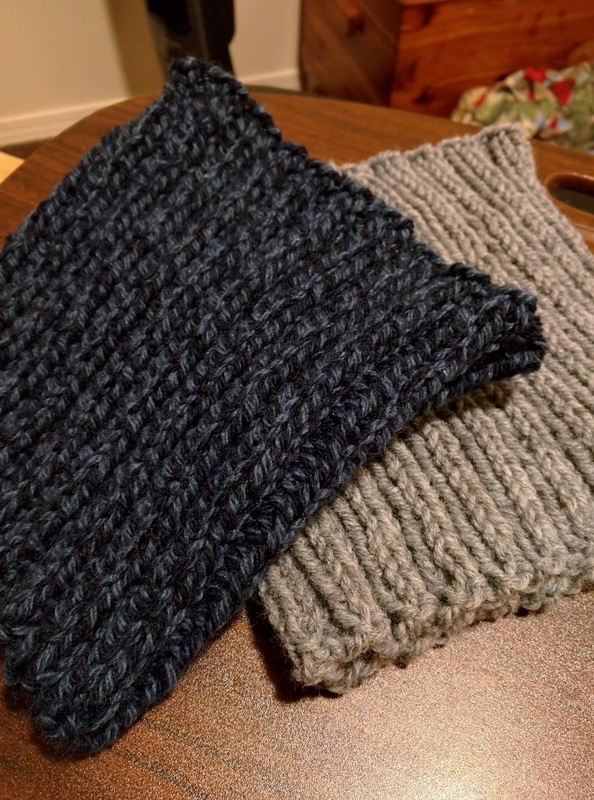 I already have some Plymouth Encore and Kraemer Perfection on hand, both washable wool blends. 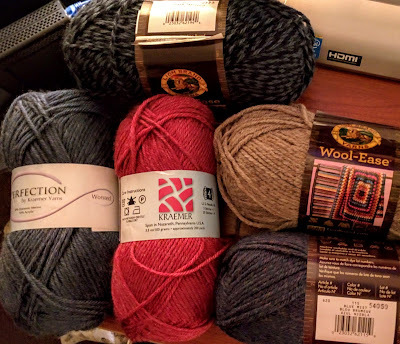 There was a sale at the Hancock's by my house and so I picked up a few skeins of Wool-Ease. 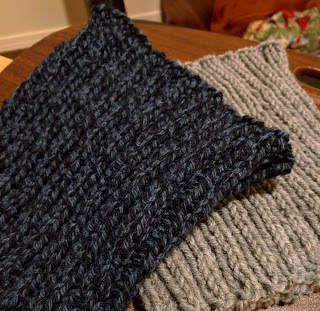 I worked on their cowl pattern and finished two, one in a navy & blue twist and the other in grey.